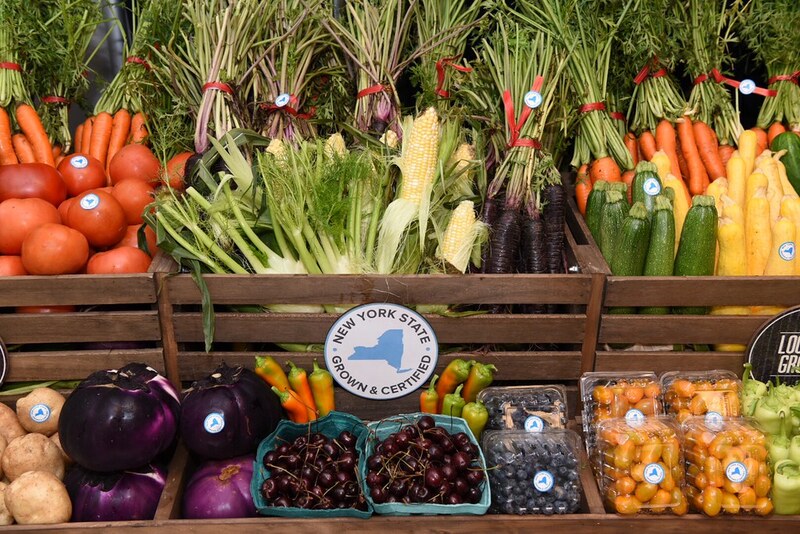 Governor Andrew M. Cuomo today launched the New York State Grown & Certified program and announced a new $20 million food hub in the Bronx to increase access to farm-fresh produce. The New York State Grown & Certified program identifies and promotes New York producers who adhere to New York’s food safety and environmental sustainability programs, and assures consumers that the food they are buying is local and produced at a higher-standard. To support the new certification program and increase access to farm-fresh food, the State is also building a state-of-the-art food hub that significantly expands distribution capacity, provides new markets for farmers, and creates 95 permanent jobs and 150 construction jobs in Hunts Point. Studies show that public interest in safe and healthy foods continues to grow, yet consumer trust in food has eroded significantly. New York’s vibrant agriculture and food industries position the state to set a national example for providing consumers with transparent and meaningful information about the food they purchase and eat. Now, with New York State Grown & Certified is the first state program in the nation to combine modern food safety standards with environmental stewardship to achieve a premium level of certification. By certifying food at this level, New York is providing consumers with an assurance of quality in how and where the food is grown and produced, while promoting New York State producers who are meeting a growing market demand for foods that are safely handled and grown in an environmentally responsible manner. More than 100 qualifying vegetable and fruit farms from across New York State already expressed interest before New York State Grown & Certified officially launched today. The Department of Agriculture and Markets will work with New York State producers across all commodities to assist them in qualifying for the voluntary certification program. To ensure maximum environmental sustainability and food safety, participation in existing certification programs, including the State’s Agricultural Environmental Management program and the U.S. Department of Agriculture’s Good Agricultural Practices program, is required for participation in New York State Grown & Certified. A new marketing campaign will promote awareness of the program and highlight New York producers who meet New York State Grown & Certified standards. The marketing campaign includes on-product labels and promotional materials, such as a New York State Grown & Certified website, video and sales materials, to encourage program participation among producers and to educate retail and wholesale buyers – such as restaurants – on the value of the program. Consumer advertising and retail promotion will begin this fall. The Governor’s Safe and Healthy Foods Advisory Committee and its subcommittees were instrumental in providing input and guidance on the various components of the New York State Grown & Certified program, including efforts to address food product mislabeling and expanded food safety testing to ensure top-notch monitoring of the food supply chain. The committee and subcommittee members consist of some of the nation’s top experts in food production and consumer advocacy. A complete list of the subcommittees and their members is available here. The New York Grown & Certified Program strengthens the link between producers and consumers and provides new opportunities for agricultural development. In response to the Food Hub Task Force Report, Governor Cuomo announced that New York State is investing $15 million in the construction of a new $20 million Greenmarket Regional Food Hub in the Bronx. The state-of-the-art, 120,000 square foot facility will increase New Yorkers’ access to fresh, locally grown and produced food. The Greenmarket Regional Food Hub will also support farms that are New York State Grown & Certified by promoting their local products to restaurants and institutional buyers. The Food Hub will create 95 permanent jobs and 150 construction jobs. Following the State’s first-ever Farm to Table Upstate-Downstate Agriculture Summit, the Governor committed to working with local partners to develop a wholesale farmers’ market downstate. In addition, the New York State-New York City Regional Food Hubs Task Force, convened at the direction of the Governor and also announced at the Upstate-Downstate Summit, placed a high priority on a regional food hub as part of its final action plan. The Task Force was charged with developing a roadmap to build a Regional Food Hub System, which will enhance the connection between upstate food producers and the downstate market, increase access to fresh food for underserved populations, boost in-state food production and consumption, and create new job opportunities in the growing sector of food manufacturing. The final Food Hub Task Force Action Plan and its recommendations are available here.